The children who attend CHW Netanya Technological High School come from very low socio-economic backgrounds. Many of these children work additional jobs to help support their families; whether to pay the rent and bills, or buy groceries. Now that winter has arrived, and this has been a very cold and rainy season, many of the children were coming to school complaining that they were cold at night. Many children shared that they were unable to sleep due to lack of heating and warmth in their homes. When the faculty learnt about this, they sprang into action. 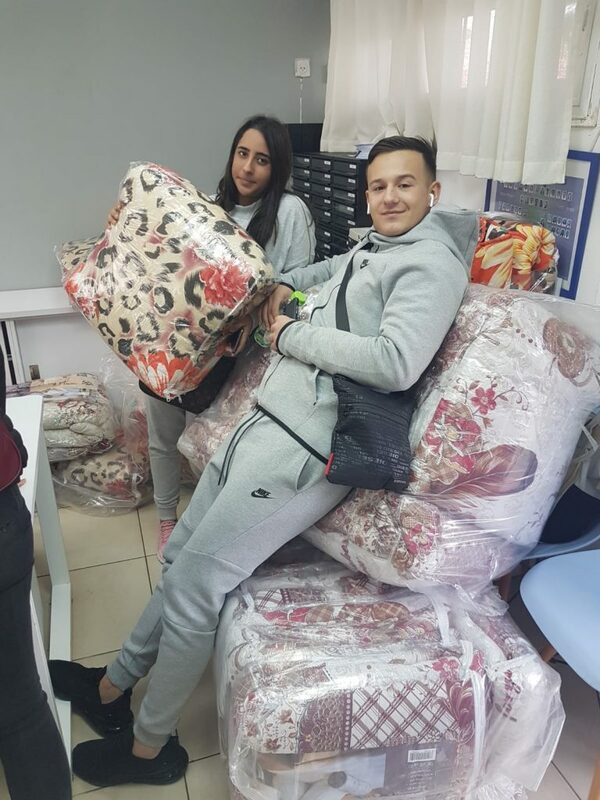 They turned to a local store* in Netanya who generously donated over 30 blankets to the children and their families. The parents and children were so touched and honoured by this generous donation and the dedicated team at CHW Netanya, sharing that it has already positively impacted their lives! This entry was posted in Child, Weekly Story and tagged children, CHW Netanya Technological High School by Jennifer. Bookmark the permalink.